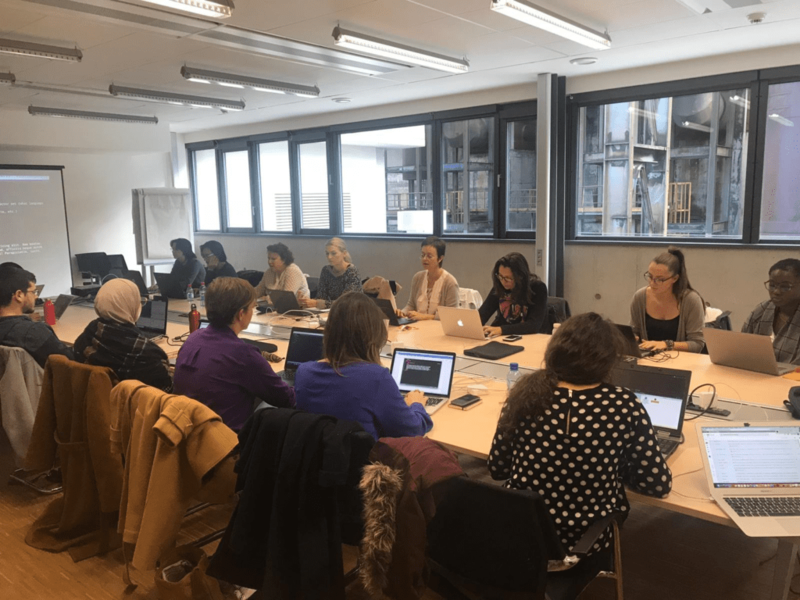 From 12th to 16th November 2018 WIDE, supported by Digital Luxembourg, hosted its third Coding & Web Development Training. Since few attendees already got in touch with the programming languages stated above, the first thing our trainers did was trying to give the same starting level to everybody and then, trough to theoretical explanations, always followed by a huge number of practical exercises, they helped and supported both the creation and improvement of students’ coding skills. Besides Digital Luxembourg and our trainers, we would like to thank all students for their proactive participation, keen interest and the daily effort they put in the workshop. We really hope you not to stop coding, to keep improving your skills and to learn new tips, every day. Lastly, we have a few coming coding events: Gender 2.0 Hackathon, on Saturday December 1st, during which attendees will have the opportunity of supporting the development of new tech solutions to close the gender gap, we will be hosting participants from 8 other countries and the workshop will focus on design and rapid prototyping and, our Coding and Web Development training, from 4th to 8th February 2019.